When we feel it's appropriate, we suggest to clients that they consider using customer testimonials on their website. Business people in all industries agree that a word-of-mouth recommendation is the best business builder. People like to do business with people/companies that their friends recommend. You trust your friends to know your tastes and preferences and to not lead you astray. Your friends/colleagues word that someone is a reliable provider of the services you seek goes far in influencing your decisions. "Word of Mouth is ... the actual sharing of an opinion about a product or service between two or more consumers. ... the key to its success: it's honest and natural. .. It's the medium made up of the conversations and communications between people." One way to take advantage of this tried-and-true business development method is by incorporating customer testimonials into your website. Testimonials allow customers to tell your story for you and share their opinions with others! What I recommend is that you start a testimonial file (digital and/or hard copy) and put in it anything you come across in your daily work where a customer/client has commented on your service/product. The testimonial could be in the form of a formal letter, a note on a card, notes from a phone conversation, an email, or a Facebook/Blog posting, or online review. Make an extra copy and put it in your testimonials file. The best quality testimonials are often ones you consciously solicit from satisfied customers. As a part of your order/project completion process you can build in a customer satisfaction survey which includes a space for comments. These comments often form great testimonials. Identify satisfied customers that you feel may be likely to take the time to send you a testimonial. Send them a form letter requesting their opinions on your service/product. Brainstorm a list of the qualities that you want potential customers to know about you. Craft questions for your form letter that will lead to answers on these subjects. Not everyone is going to want to comment on the same aspect of your business/service/product. Giving them a choice shows the type of information you're interested in and gives them a chance to pick a subject that they fell most comfortable to respond to. This method, albeit time consuming, can result in the best quality testimonials. Tell them how the testimonial will/may be used. Inform them that you will show them the proposed usage of any testimonial before it is published. Ask their permission to use their name, title or company name (some or all). If they are uncomfortable with using their full title and company name, you can represent that generically instead: Sam, CEO, Yakima shipping company. Yes, people are busy and not everyone you ask will actually give you a testimonial. But a lunch or coffee invitation, a gentle email reminder or mention in a phone conversation will go far towards nudging the client/customer into sending you a testimonial. In general satisfied customers will be happy to spread the word of your excellence, if you make it easy for them. Ask your web developer how they recommend incorporating your testimonials into your website. They may opt to inset a single testimonial on the various pages of your site - set off in a graphic format or enclosed in a box in the text. Alternately, hey may recommend developing a new page dedicated specifically to testimonials. Alternately they may advise incorporating the testimonials as a section on the About Us page. With the advent of the affordable video cameras and the video apps on smart phones, it's easy for anyone to capture customer testimonials. Just set up your camera/phone on a tripod, ask your customer a predetermined question or two, and film their answer. The setting, personality of the customer, and their interaction with the person behind the camera lead to some fun and memorable testimonials ... and the authenticity of the message is undeniable. Sign into your Gmail account and search for your business name in Google. Once signed in, you'll see that the Google Business, Google Maps and Google Plus interfaces offer a great place for your customers to submit reviews. Asking customers to post comments about your business or service on Linked In, Yelp, and other social media platforms will bring more word-of-mouth exposure to your business. Preserve those testimonials through a screen capture! 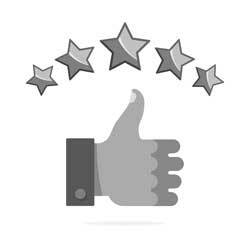 Set up a dedicated review page on your website where clients can easily link up with your social media to post a review. You can include the URL to this page in email correspondence, making it easy for your customers to submit a review of your services. These testimonials can be used on your website, in a brochure, company report, or on a blog. 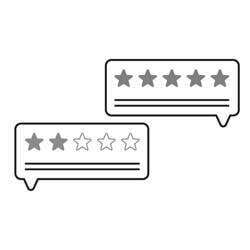 You can always follow-up with the customer who has posted an online review and ask them for a longer testimonial or for permission to use their name/company name. We've also advised customers who have a great collection of testimonials to keep them in a binder with each letter slipped in a separate sheet protector. You can show the recommendations book in person to a potential client, when the timing is right, and cinch the sale! While it's not ethical to edit someone's testimonial, you should feel free to correct any minor spelling or grammatical mistakes. To be sure that your changes are okay with the author of the testimonial, send them the revised text for their approval, before you use it online. If possible, include a photo of the person giving the testimonials and/or a picture of them in the location where the service was provided or your product was used. When relevant and possible, include the person's full name, company name, location, and company website address. Some people are perfectly comfortable including their full name in a testimonial - and others aren't. Honor their wishes! A good compromise is to use their first name, and then include their location, profession or type of business, whichever is most relevant. If you are would like help setting up a Testimonials page on your current website, or would like assistance to start utilizing online reviews, contact the web developers at Yakindo Web Designs.